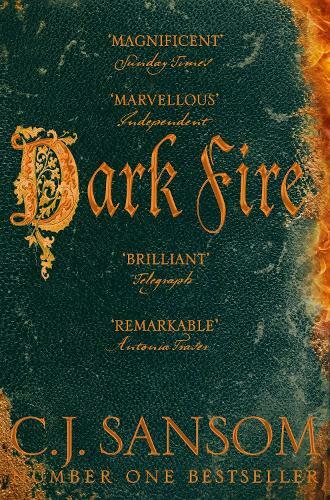 Winner of the CWA Ellis Peters Historical Dagger, Dark Fire is the second thrilling historical crime novel from C. J. Sansom. British author C. (Christopher) J. (John) Sansom is best known as the author of the phenomenally popular sixteenth-century detective series Shardlake. Dubbed the "Tudor Morse" the Shardlake novels – beginning with Dissolution – trace the progress of lawyer Matthew Shardlake from 1537 as he is drawn into investigating a series of complex cases that bring him ever-closer to the machinations of the Tudor court. C.J. Sansom is also the author of the bestselling novels Winter in Madrid and Dominion.